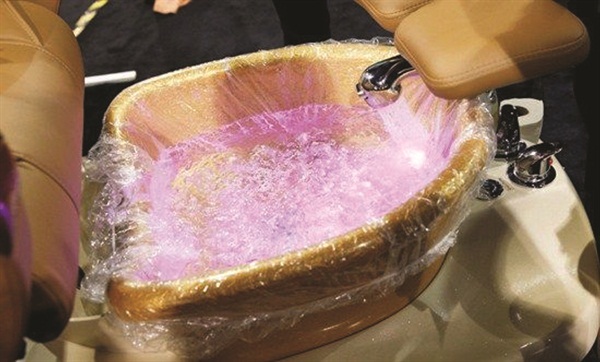 As of July 1, 2015, California nail techs using disposable pedicure liners can skip the 10-minute disinfecting soak of their pedicure basin between clients. This long-awaited clarification of the rules was one of a number of changes instituted by the California Board of Barbering and Cosmetology that affect nail techs’ day-to-day business and safety procedures. “It’s very exciting to have the new liner legislation in place in California,” says Belava’s Alison Till-Harris. 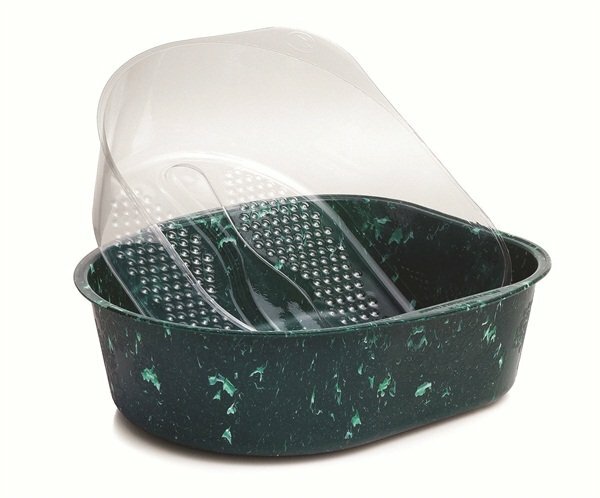 “We often heard complaints from technicians who were given citations during inspections for not completely cleaning and disinfecting the pedicure tub even though they were using a new disposable liner for each customer, creating a barrier between the tub and the pedicure soak.” Under the new legislation, once the pedicure liner has been disposed of, the tub must be scrubbed of visible debris with a brush and liquid soap, then rinsed and wiped with a dry paper towel. In addition the salon must maintain at least five liners per tub. “The most important rule to follow is to keep a current Pedicure Equipment Cleaning Log. We have forms available for download on our website,” says Till-Harris. To see a detailed explanation of the California Board’s revised health and safety regulations, including several minor modifications to standard disinfection procedures, go to www.barbercosmo.ca.gov/laws_regs/hs_explanation.pdf.